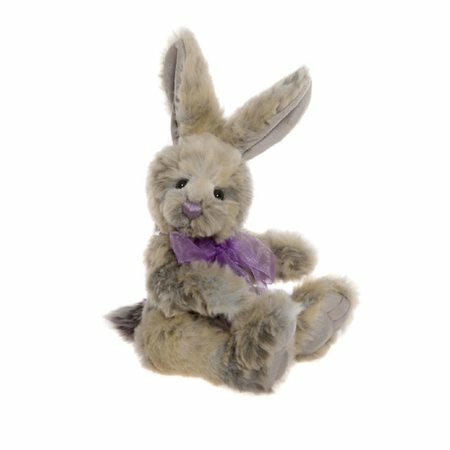 Skip the Bunny Rabbit by Charlie Bears makes quite an impression with gorgeous softy floppy cream coloured ears and a candy pink bow. This cheeky little bunny rabbit will bring lots of joy to any collector. In Charlies words - After sneaking into the picnic basket, this cheeky little bunny has already been into the jam and marmalade! Skip the Bunny Rabbit by Charlie Bears makes quite an impression with gorgeous softy floppy cream coloured ears and a candy pink bow. This cheeky little bunny rabbit will bring lots of joy to any collector. In Charlie's words - "After sneaking into the picnic basket, this cheeky little bunny has already been into the jam and marmalade!"